Viknesh Vijayenthiran January 26, 2011 Comment Now! The wraps are finally off Pagani’s new supercar, the Huayra (pronounced why-eera), which like the Zonda it replaces was named after a South American wind. Also like the Zonda, aerodynamics once again played a major role in the car’s development, which is one of the primary reasons that its controversial styling ended up the way it did. Key elements of the new Pagani Huayra are its active aerodynamics, AMG-built V-12 engine and bespoke carbon fiber construction. Looking past the odd smiley face grille, we can see that the Huayra sports a pair of flaps incorporated into the bodywork at the front and rear. These are controlled by a computer that monitors speed, yaw, lateral acceleration, steering angle and throttle position and are adjusted as necessary in order to produce optimal downforce. The computer is also linked to the front suspension, which hardens and softens depending on braking to counter the weight transfer. 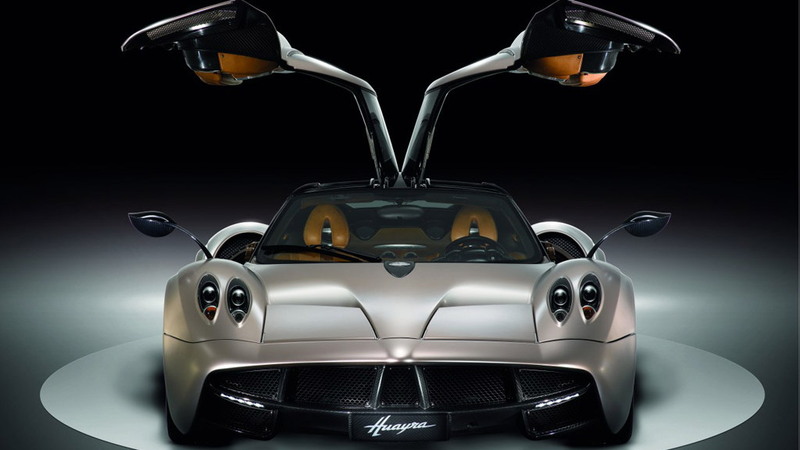 Another key element of the Huayra’s design is the addition of gullwing doors, which are sure to attain mixed opinions. The heart of any car is its engine and in the Huayra’s case, Pagani has selected a unique twin-turbocharged 6.0-liter V-12 engine developed by the engine gods at AMG. It develops a peak output of 700 horsepower at a low 5,000 rpm and a monstrous 811 pound-feet of torque at 3,500 rpm. Drive is sent to the rear wheels via a single clutch seven-speed automated Xtrac gearbox, and when combined with the car’s 3,064 pound curb weight, will hurtle the Huayra to 62 mph from rest in just 3.2 seconds and see it reach a top speed of over 235 mph. Despite being an all-out performance machine, the interior of the Huayra looks as luxurious as a Bentley or Rolls, if not more so. Looking like a finely crafted Swiss watch, the cabin is filled with plush leather, aluminum and glass trim and a multi-function steering wheel. There’s even a small controller that allows the driver to adjust the electronic stability control and transmission settings, similar to Ferrari’s own Manettino switch. As much as we loved the Zonda, its lack of availability here in the U.S. meant that it would always remain a dream for most, even those who could afford it. 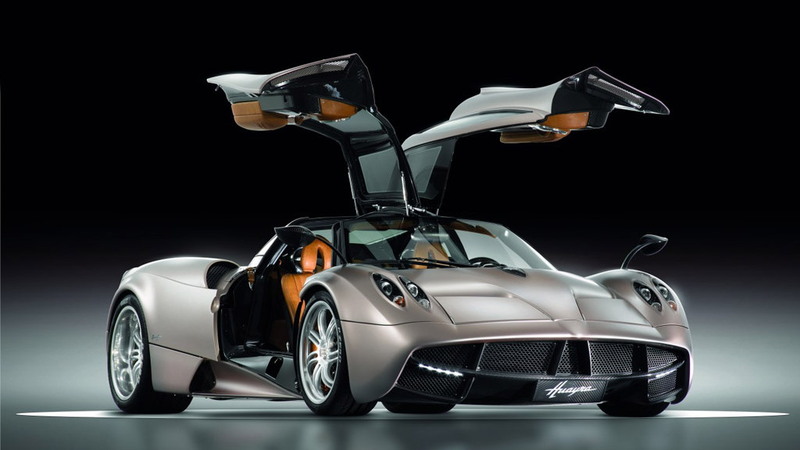 However, the new Huayra is scheduled to come with full U.S. homologation in tow, though its expected million dollar pricetag will still keep it out of reach for most. 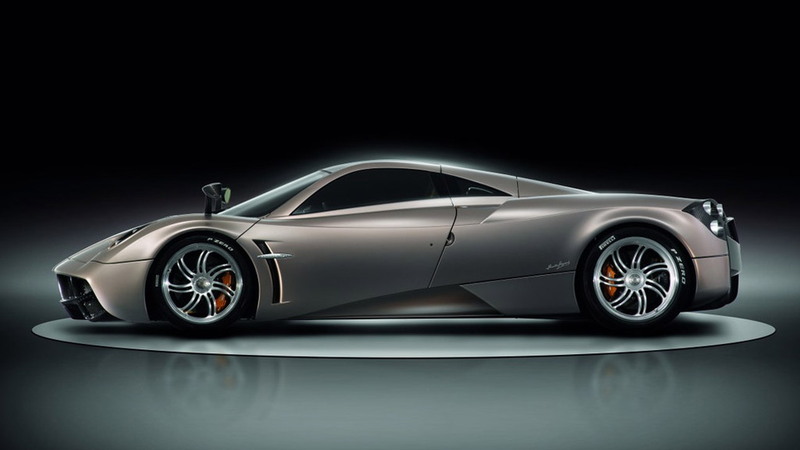 Stay tuned for a world debut of the new Pagani Huayra at the 2011 Geneva Motor Show this March.